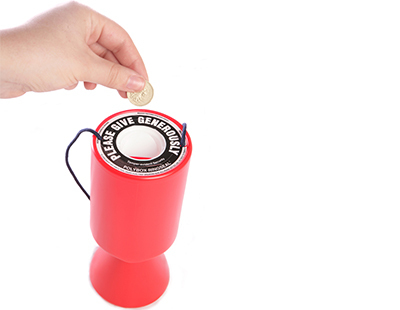 It’s been another busy week of fund-raising for agents across the industry, sparing time to do good works despite the market picking up according to latest reports. 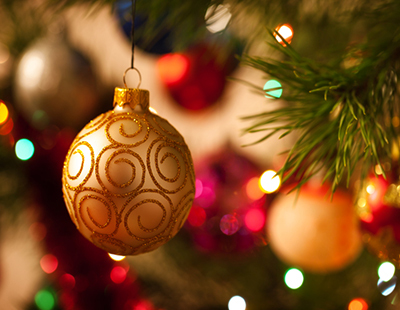 Please do let us know what you’re doing - just email press@estateagenttoday.co.uk and we’ll publicise your fund-raising. Avery Grand Charity Ball: Avery estate agency is expecting 300 guests to attend the fundraising ball, held with the support of Agents Giving, to be held in memory of Jack Colin Tucker, on Saturday 22nd April 2017 at Batch Country Hotel, Lympsham, Somerset. There will be live music, casino-style games, a grand draw and auctions to raise money for the Special Baby Care Unit (SBCU) at St Michael’s Hospital, Bristol. In 2006, following the tragic death of Jack Tucker, who was born 26 weeks premature at the SBCU, his mother, Jane and close friend, Sarah Tyson, director at Avery estate agency, set about raising money for the hospital in order to ‘give something back’ in recognition to the care Jack received. Their dream was to buy an incubator, costing approximately £25,000, through a one-off charity ball, but through the generosity of others, and negotiation from the hospital to the suppliers, they were able to purchase two. Understanding how vital this equipment is, they were then spurred on to continue fundraising, and have since hosted a further seven balls raising more than £165,000 for the hospital. The funding raised has helped buy approximately 25 pieces of equipment for the unit including: incubators, ventilators, baby thermometers and other monitoring equipment. The SBCU at St Michael’s Hospital in Bristol is the only unit in the region offering the highest level of care and life saving surgery to the sickest and most premature babies. The unit covers the largest geographical area in England, serving Bristol, Bath, the South West Peninsula and South Wales, treating approximately 750 babies a year. 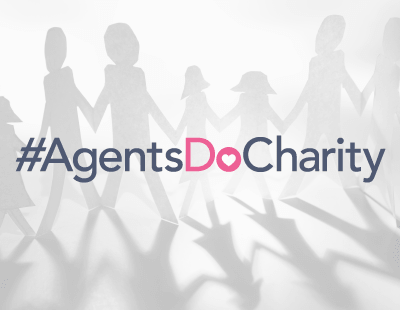 “Supporting people like Sarah and Jane is why Agents Giving was set up. We support the industry through resources and grants, for example, the Rightmove fund, which makes events like The Avery Grand Charity Ball happen. 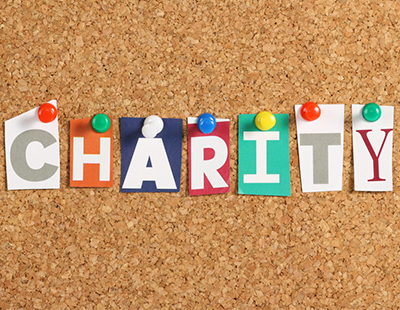 Over the last two years, we have helped raise over £1m for more than 70 charities. If you have a charity that you would like to help, get in contact and get involved” says Peter Knight, chairman of Agents Giving. For tickets please contact sarah@averyea.co.uk. Crisis: JLL is raising money for homeless charity Crisis this Easter through the raffling of 13 10kg Belgian chocolate eggs, 10 of which are located in each of its London offices. Entry is free and for each visitor or client who enters, JLL will donate £1. On Wednesday and Thursday April 12 and 13, winners will be drawn at random by JLL charity representatives in each office; each winner will take home a 70cm high 10kg filigree Belgian egg, with a nougatine shell surprise inside. Crisis, JLL’s charity partner, is a national organisation for homeless people. It is dedicated to ending homelessness through delivering life-changing services and lobbying government. Last year, it supported over 10,000 homeless people on their journey out of homelessness, through one-to-one coaching, employability training, classes and courses, mental health support and more. With rough sleeping on the rise, Crisis is working harder than ever before to help alleviate it. To get involved, entrants should visit JLL at one of these offices: in London at Finsbury Park, City, Stratford, Canary Wharf, Blackheath, Knightsbridge, Chelsea, Kensington and Nine Elms, alongside JLL’s Head Quarters on Warwick Street, our outside London at Manchester or Leeds. YMCA Safe Housing: Two employees of Fleet Mortgages took part in the annual YMCA’s ‘Sleep Easy’ event in Guildford last month. Jannie Vermeulen (Chief Risk Officer) and Stefan Terblanche (Head of IT) spent a night under the stars in order to raise funds and awareness for the YMCA’s safe housing programme. ‘Sleep Easy’ is run annually by the YMCA’s Downslink Group; this year it took place in three locations in the South East – Guildford, Brighton & Hove, and Horsham – and saw a hundred people ‘sleeping rough’ in order to raise money for young people. “I was there when we did the first YMCA Sleep Easy event many years ago (in those days we did it in January) and have been hooked ever since. Doing this makes me appreciate what I have in life; it means as much to me as for those that receive the benefits from this event. Homelessness is a growing problem and whatever I can do to help, I will” says Jannie. Crigglestone St James CE Primary Academy: Pupils here have new polo shirts and sports tops thanks to Manning Stainton’s Community Support Programme. Chris Appleton, manager of the Manning Stainton branch in Wakefield, and lettings manager Amardeep Lall visited the school recently to check out the new tops. “They looked fantastic and the sight of all the smiling faces told you everything you needed to know about how much this means to the children” says Chris. Manning Stainton Wakefield also sponsored the Family Fun Zone at the city’s recent annual Festival of Food, Drink and Rhubarb. Meanwhile, the local branch of Fine & Country at Manning Stainton kitted out the Wakefield Girls’ High School under 14’s Hockey team with new sweat shirts. Martin House Children’s Hospice: Thirteen colleagues from Linley & Simpson are roaring into action at Roundhay Park in Leeds to raise money for the company's chosen Charity of the Year, Martin House Children's Hospice. The team hoping to paddle power their way to victory include Alexander Atkinson, Matthew Beardow, Paul Bridgeman, Martin Elliott, Luke Gibson, Joe Gilman, Neil Mcgroaty, Egle Sestakauskaite, Emily Wilkinson as well as founding director Will Linley. Louise Forrest and Harriet Bramley have both volunteered as reserves, and everyone will be kept in rhythm by Nicola Sutton, armed with a drum. The event on May 21 celebrates the 10th anniversary of dragon boat racing taking part on the park's iconic lake. It is a unique corporate team-building event and family fun day that is designed to support hundreds of children and young people with life-limiting illnesses across the region. Team member Emily Wilkinson, who heads up the charity and community projects, says: "We're always looking for new and imaginative ways in which to help Martin House and the vital role it plays in the heart of our community. The agency is celebrating its 20th anniversary this year and aims to raise £25,000-plus for Martin House during 2017 - meeting, and hopefully beating, the same feat it achieved two years ago when the children's hospice was its inaugural Charity of the Year.